After discovering the company on Twitter and seeing their tweets about the magic their product could work on a Bigsby bridge, I decided to order Big Bends Nut Sauce to see what all the fuss is about. 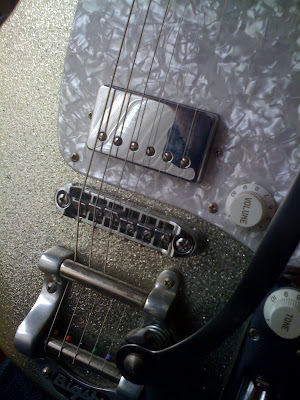 Yesterday I applied it to the nut and bridge of my Bigsby-loaded Ibanez Talman TC-825 and the results are incredible. Tuning stablity is vastly improved and, most important of all, I no longer get the annoying ‘ping’ sound that occurs when the string, bound up at the nut, slips loose when using the bar. Wanna try it yourself? 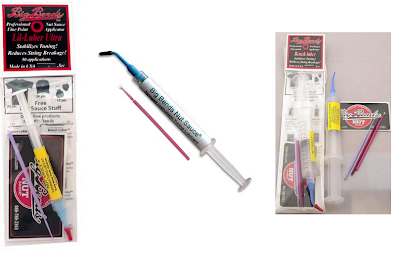 Here are some videos demonstrating how to use Nut Sauce on various types of guitars. Cool!